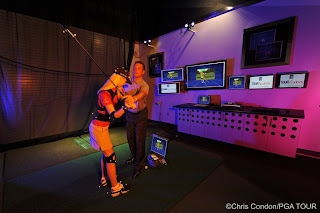 The PGA TOUR Academy at Sawgrass is now offering Fuzion Golf. 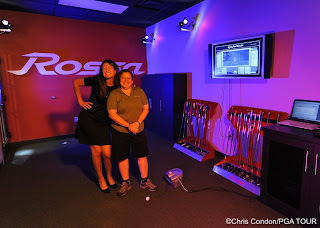 It's a hi-tech clubfitting lab that uses video and computer and computer animation to analyze your swing and putting stroke. Caryn and I shot the lab for their marketing collateral. Caryn stands in for a light test. The final edit. Jim did a great Job photoshopping the graphics into the monitors. 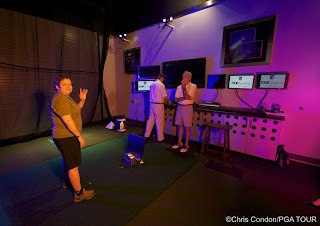 Then the putting lab. Amber jumps in with Caryn for another light check. 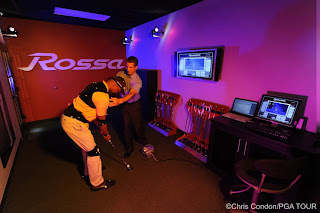 Travis works with Kenyatta in the final image.